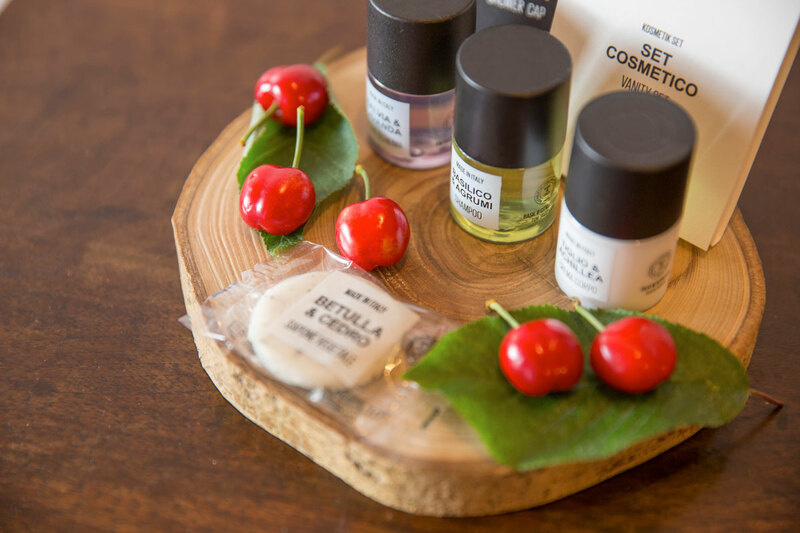 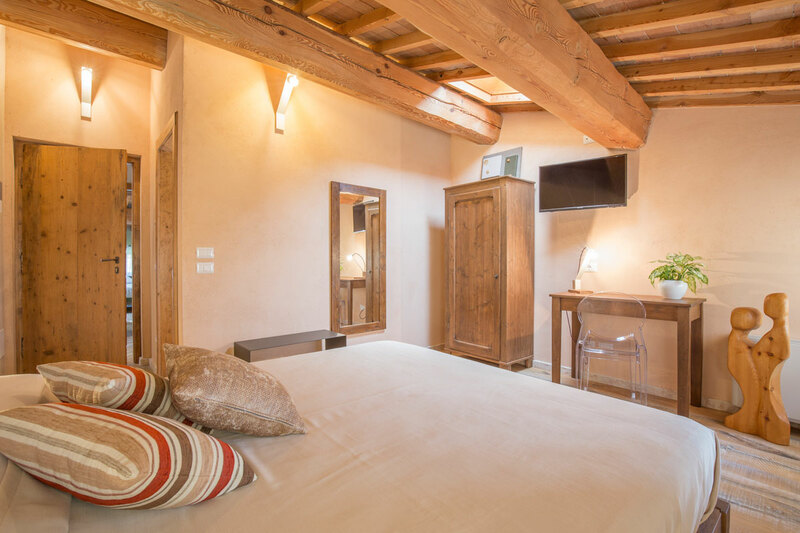 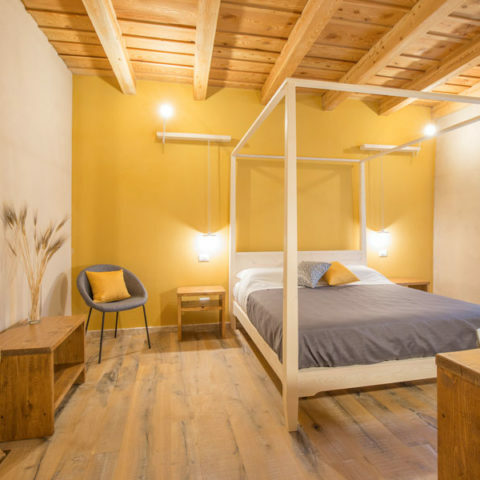 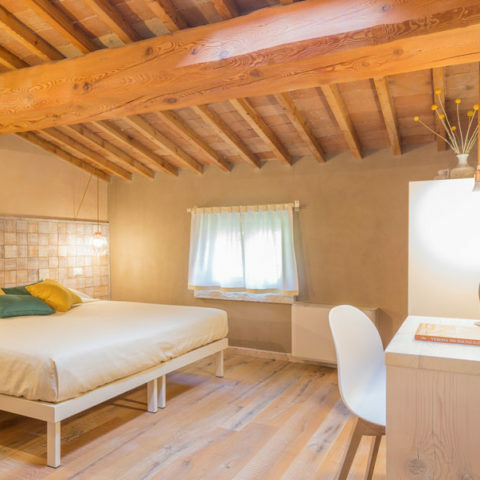 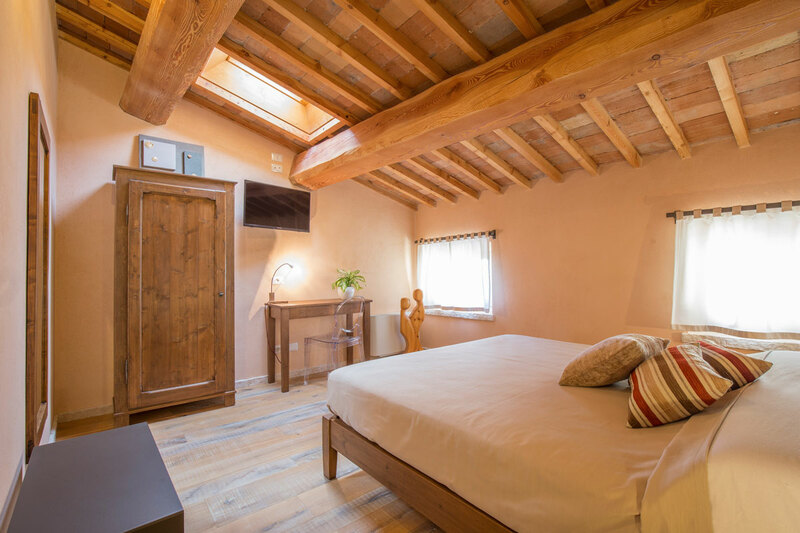 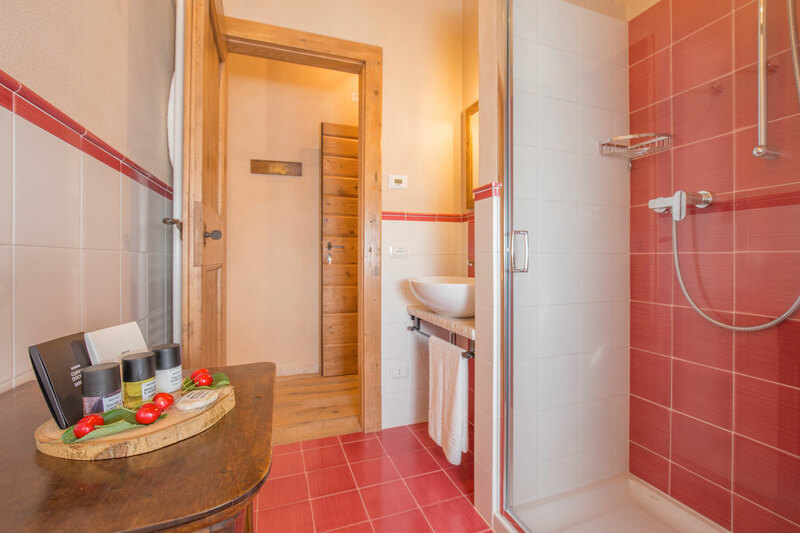 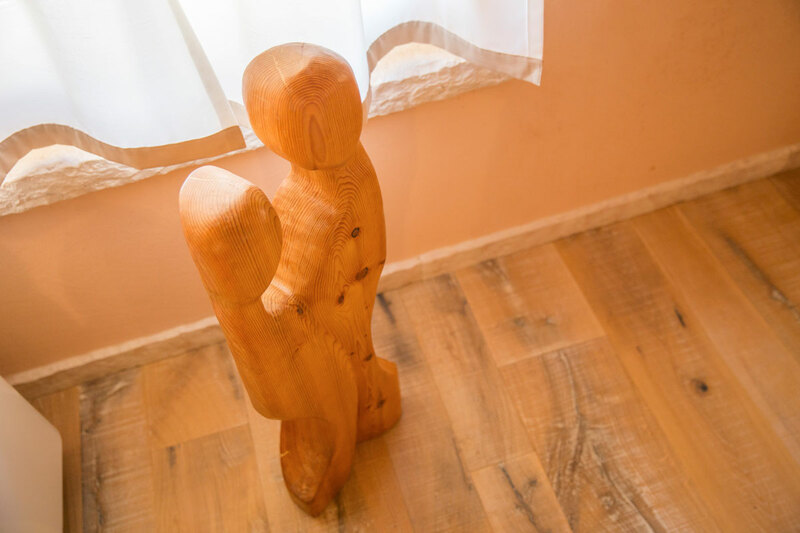 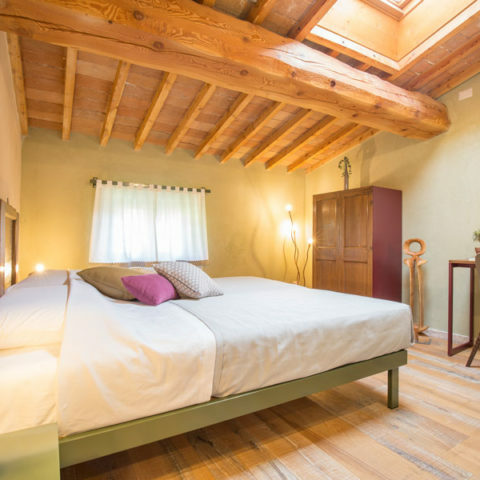 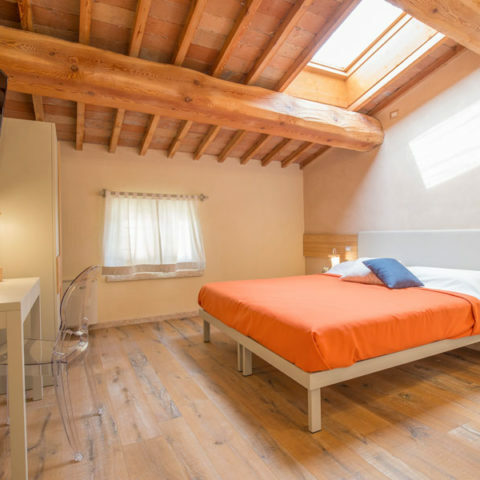 Il Ciliegio is a double bedroom with private bathroom. 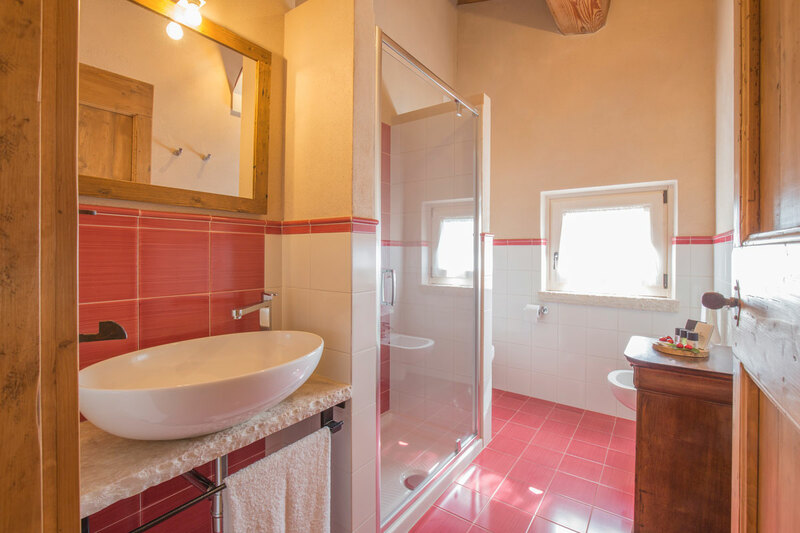 The red, predominant color, besides giving the name to the room, makes it one of the most romantic of the structure. 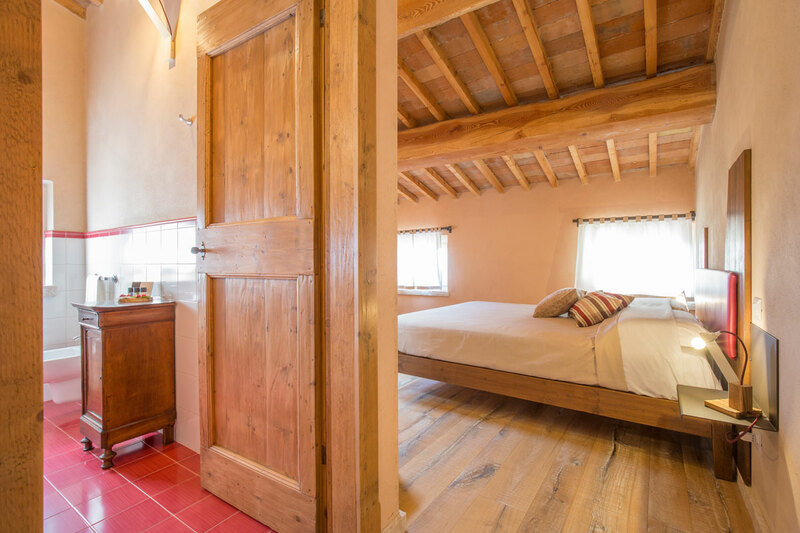 The restored antique wooden furniture combined with modern iron elements has been custom made. 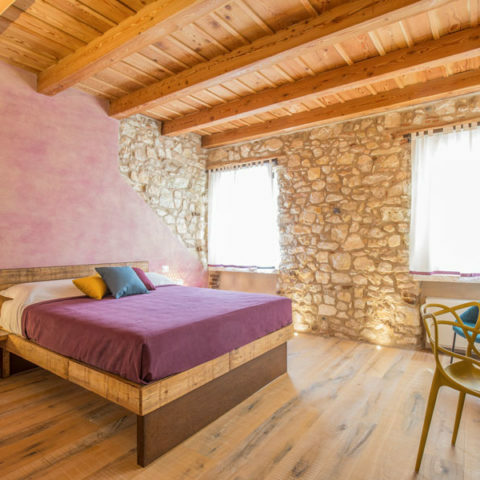 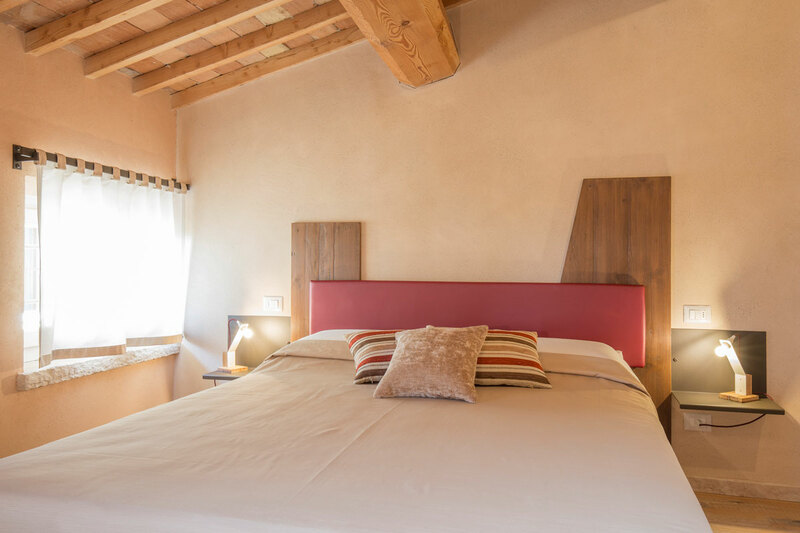 The room, with exposed beamed ceilings and terracotta tiles, has two windows with panoramic views of the countryside and Valpolicella.